3/4: Three Lancers Medal In Atlantic City! Dean Peterson took 2nd, Nick Caracappa placed 3rd, and Steven Giannios finished 4th, giving the Lancers their three highest State Placers in program history. Nick Caracappa became the program's first 2-time Region Champion, and 5th overall, and will be one of four Lancers headed to Atlantic City. Joining Caracappa are Region runner-ups Dean Peterson and Steven Giannios, and 4th-place finisher Tyler Pepe. In 2017, the Lancers were hammered by injuries and lost one of the Shore's top heavyweights (Micah Clark) to early graduation. With key pieces missing, the dual lineup suffered, but the team kept grinding and had a solid post-season, with a program record five wrestlers advancing to Atlantic City. 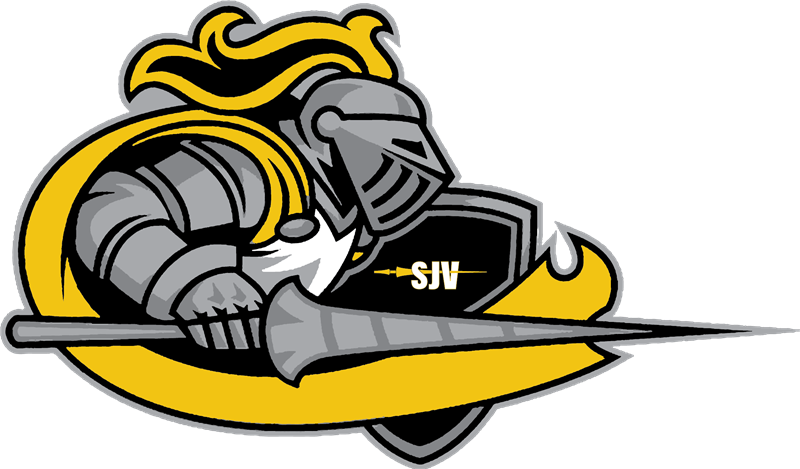 Four of the State-qualifiers are back, injured starters return, the talented frosh from last year now have a full season under their belts, and some very promising newcomers join the fold, giving SJV the potential for a very big year in 2018. There's plenty to like in the lowerweights, especially the 1-2 punch at 106-113 with incoming frosh Dean Peterson (Super-32 Champ / Intermediate State Champ) and returning State-qualifier Tyler Pepe. Charlie Peterson, a District placer in 2016, can provide valuable senior leadership to the rest of the promising youngsters that includes junior Austin Rotblat and the freshmen trio of Joe Butler, Seth Rotondella, and Blake Clayton, a junior State champ in 2016. In the middle, Isaac Holt and Anthony Brett, who both showed solid potential as frosh starters in 2017 are back. Also back is junior Pat Smith, who returns after missing most of last season due to injury. Vianney could be home to one of the best group of upperweights in the Shore. Back are a trio of senior State-qualifiers in Steven Giannios, Nick Caracappa, and Josiah Walker. They'll have a nice cast along with them that includes junior Paul Liseno (transfer from Keansburg) who should be among the top heavyweights in the Shore, sophomore Gage Moellman who wrestled up at 285 to replace Clark when he departed last year, and another sophomore, Jaden Lowe, a former Intermediate States placer who missed all of last year with an injury. While the individual success was there for the Lancers in 2017, too many missing pieces in the lineup held them back in the duals. The key here is for them to stay healthy as there are not a lot of numbers in the room. Where they are good, they are good. Where they are very good, they are VERY good. It's a lineup with Top 5 potential in the Shore, and might be able to give Raritan a run in the division, if the injury bug goes and bothers someone else this year. Again, a definite team to watch in the Shore, and there should be a ton of black and gold on the mats come individual tournament time as well.